The creative process behind the Danish artist’s work leading up to the Venice Biennale last year, elegantly portrayed as a reflection on creation itself. When the artist Kristine Roepstorff was nominated in 2017 to represent Denmark at the Venice Biennale, it was a very specific but ambiguous term that was the basis for her work: Influenza. A word that suggests both illness and transformation. 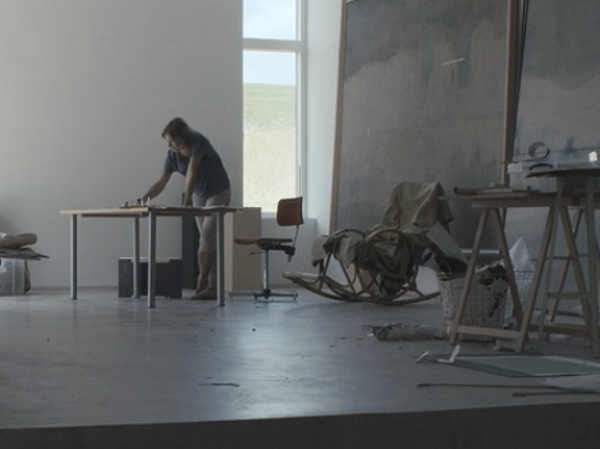 The film follows her for the one and a half years during which Roepstorff devoted her time to the opus 'Influenza', as it evolved materially from textiles, plants and concrete to light and darkness. A creative process and a philosophical reflection on the act of creating. The path from idea to finished work is long, and passes by sculptors in Copenhagen, weavers in Paris and architects and gardeners in Venice, where the work has to be installed before the artificial brand can attach itself to the Danish pavilion. And before the audience can join Roepstorff inside the transformative and fertile darkness, where the ideas came from in the first place.